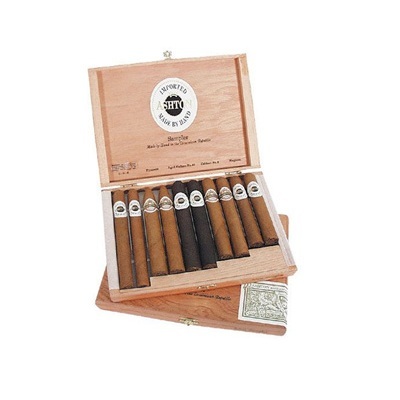 Known for an for an exquisitely rich flavor with a short, concise finish, the Ashton Cigar is one of the world’s most well-known cigars for its high quality and mild to medium taste. 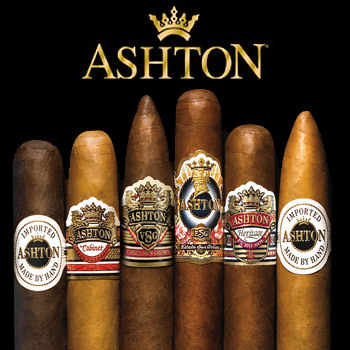 All Ashton cigars undergo extensive quality checks, which helped cement itself as one of the most consistent cigars in quality for years. The manufacturing and quality assurance is all conducted by the world-famous premium cigar manufacturing family, the Fuente Family. 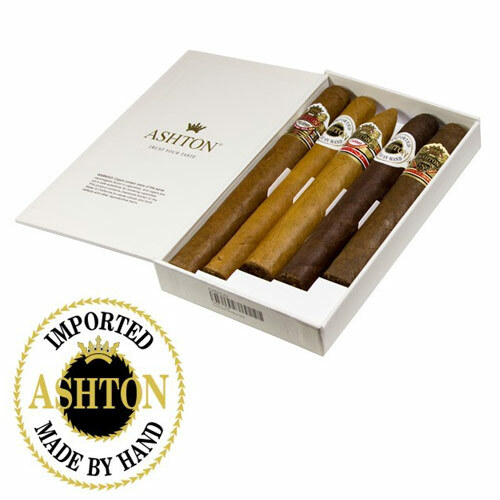 Ashton cigars, with hints of spice in the aftertaste and with subtle hints of cashew and wood seemingly sprinkled in, have been a staple in the rotations of cigar connoisseurs and aficionados alike since 1985. The question you now need to answer is which ashton you will choose. Whether it is the Ashton Classic, Ashton Aged Maduro, Ashton Cabinet Selection, Ashton VSG (Virgin Sun Grown), Ashton ESG (Estate Sun Grown) or Ashton Heritage Puro Sol find out why Ashton has quickly emerged as one of the most popular premium cigar brands on the market and is one of the finest cigars rolled at Chateau Fuente.